Marble is a gorgeous, natural material that has been used for centuries in sculptures and architecture. Today, it’s a go-to choice for floors, countertops, sinks, and more. It’s no mystery why marble has endured. Marble instantly adds a high-class look and real value to your home. The one downside to marble is that it can appear “less than fabulous” when it gets dirty. If your marble floors or countertops are losing their shine, then it’s time to call for professional marble polishing in NYC. 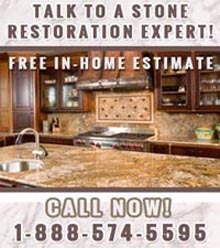 Statewide Stone Care is a leading natural stone care company, providing NYC marble polishing services to homeowners and commercial property owners alike. We take pride in our job, working hard to restore marble to a more beautiful state. Our professional natural stone specialists understand the unique properties of marble, what they need to be restored, and how to give marble a remarkable sheen. Featuring competitive pricing, our affordable marble polishing in NYC provides you with rejuvenated countertop, floors, or backsplash while remaining within your budget. Don’t think polishing marble is a task that you can handle yourself. It’s not like waxing your car. There are a wide variety of polishing products on the market at various price points. Some of these products may help your marble look great again for a few months, but then it will go right back to being dull. In fact, many cleaners can actually eat away at the marble and do damage over time. Then you’ll be shelling out a lot of money for a deep restoration. Your best bet is to find reputable marble polishing in NYC that has the expertise and equipment to bring your marble back to its original luster. Our marble polisher will first carefully inspect the floor for any chips or cracks that might turn into bigger problems down the line. Once those are repaired, we give the floor a deep polishing. Finally, we seal it in order to prevent new cracks and chips from starting. Older or badly damaged floors may need additional coats of sealer six months later. But if your floor is in decent condition to begin with, then you won’t see your marble polisher again for about another five to seven years. Contact our local marble floor polishing contractor and they will help you with all your marble floor maintenance issues. Choosing to work with our professionals will save you time, headaches, and a lot of money in the long run. For more information about our local marble polishing in NYC, call Statewide Stone Care at (888) 574-5595.